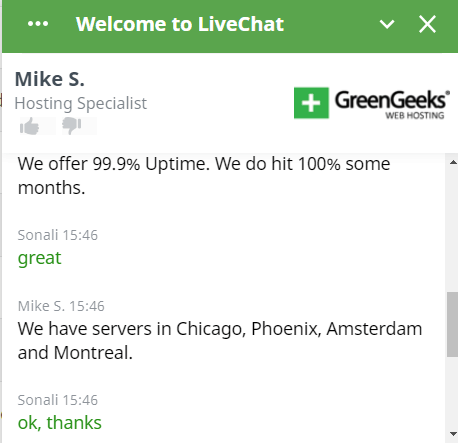 GreenGeeks Review 2019: Is GreenGeeks a Good Hosting? As its name suggests, GreenGeeks Web Hosting is an environmentally responsible company that replaces three times the amount of energy it pulls from the grid with wind power credits. GreenGeeks Web Hosting was founded in California in 2008 by Trey Gardner, and today it is headquartered in Agoura Hills, California. In the eleven years since its founding, this company has provided 35,000+ customers from 150+ countries with 300,000+ hosted websites. Crucially, considering GreenGeeks’ environmental credentials, it has replaced 615,000 kWh every year with wind power credits. The company’s robust infrastructure is powered by 300% clean renewable energy, and its servers are located in state-of-the-art data center facilities at Phoenix, Chicago, Montreal, and Amsterdam. GreekGeeks offers a variety of hosting plans (web, reseller, VPS, and application) along with dedicated servers and website builder solutions. The GreenGeeks website is in English. GreenGeeks offers three shared hosting plans – named Ecosite Starter, Ecosite Pro, and Ecosite Premium – plus three WordPress plans that are basically the same but are optimized for WordPress. Cloudflare CDN can be used for improved website speed and performance. And thanks to GreenGeeks’ customized in-house caching technology, you can enjoy faster load times for your favorite applications. GreenGeeks’ services also feature advanced custom security rules along with zero-day vulnerability fixes. Performance and redundancy are assured with SSD-based RAID-10 storage arrays, and the company provides a 99.9% guaranteed server uptime. All GreenGeeks’ plans are payable in U.S. dollars by PayPal or credit/debit card. The low prices displayed on the website are only available when you sign up for a three-year billing term. Shorter billing cycles cost significantly more; for example, three times more for monthly billing on the entry-level plan. I personally consider it to be poor practice to advertise the lowest possible prices, but if you do decide to sign up for a full three years, you can take comfort from the 30-day money-back guarantee that should get you out if you change your mind within the first month. If you prefer to help yourself rather than reaching out to customer support, you can take advantage of the comprehensive knowledge base and the wealth of website tutorials. If you are ready to make a multi-year commitment, you can get green web hosting plans at affordable prices from GreenGeeks. Go green with GreenGeeks’ environmentally-friendly hosting plans. 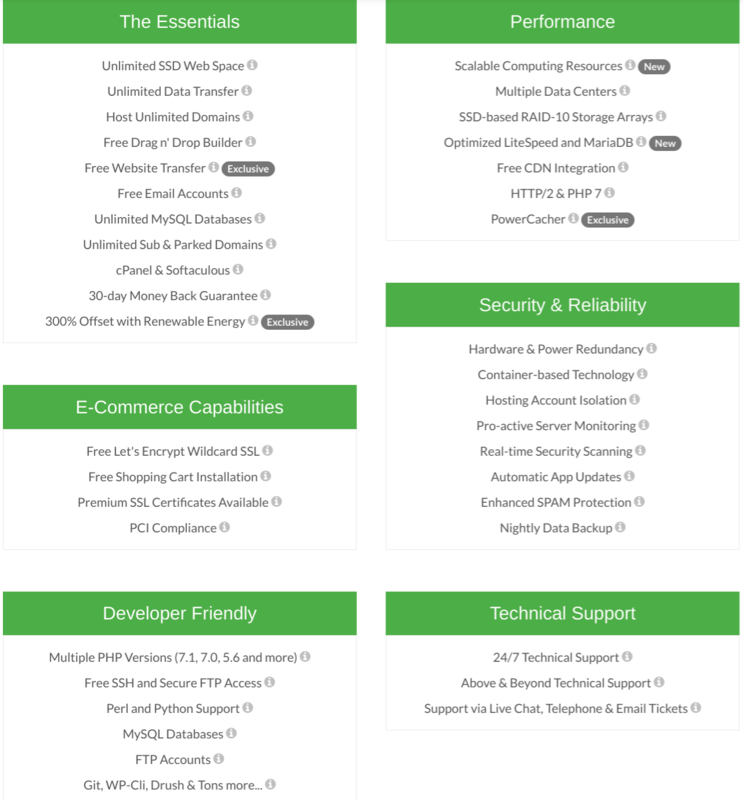 Wondering how GreenGeeks stacks up against other Web Hosting companies? Enter any other Web Hosting company and we will give you a side-by-side comparison.